In 1986, the accelerator group at the University of North Texas received a Texas Advanced Technology Research Grant. A National Electrostatics Corporation Model 9-SDH 3 million volt tandem pelletron-type accelerator , that is the foundation of the accelerator-based characterization techniques, was purchased and installed in December 1987. UNT also provided funds to construct an addition to the Ion Beam Modification and Analysis Laboratory (IBMAL) to house the andem accelerator. The Cockcroft-Walton accelerator and one of the 2.5 MV Van de Graaff's are located in a 78 square meter laboratory while the other three accelerators are located in a 450 square meter laboratory. The 200 kV Cockcroft-Walton accelerator is being prepared for surface analysis measurements of materials by sputter initiated resonance ionization spectroscopy (SIRIS). The 3 MV tandem accelerator, which is the workhorse of the laboratory, was purchased with an rf charge exchange ion source (alphatross) and a Cs sputter-type ion source (SNICS). A third, ultra-clean, microbeam, raster-scanning, depth-profiling, Cs-sputtering ion source has been constructed for the 3 MV tandem accelerator for Trace Element Accelerator Mass Spectroscopy (TEAMS). TEAMS is presently used to determine impurities in materials at parts per billion (ppb) by depth profiling techniques. TEAMS has better sensitivities than Secondary Ion Mass Spectrometry (SIMS) for many elements. TEAMS removes molecular interferences, which is the main disadvantage of SIMS, by breaking up the molecules through electron stripping in the terminal of the tandem accelerator. One of the 2.5 MV accelerators is used for routine PIXE, RBS, and NRA and for advanced undergraduate and first year graduate student laboratory experiments. The other 2.5 MV Van de Graaff accelerator is used for NRA for dating of geological samples. The 200 kV ion implanter is being configured so that the implanter ion beam may be injected into the same target chamber and/or end station as the ion beam from the 3 MV tandem accelerator in order to be able to implant into the same sample over a wide range of ion energies from 20 keV to 15 MeV. At the present time, capital expenditures in the IBMAL total about $7,500,000. Yearly maintenance and operating expenses are approximately $300,000 and includes student and post doctoral stipends and faculty Summer salaries. Laboratory personnel, which include four full time professors, a number of adjunct and visiting professors, four post doctoral research associates, a number of industrial research associates, and ten graduate student research assistants, total over 25 people. The industrial interactions with the IBMAL, which were begun in the late 1970's, have continued to increase dramatically over the past few years. One of the reasons for the close interactions with industry has been the International Conference on the Application of Accelerators in Research and Industry, which is held at UNT in November in even numbered years. In addition, an NSF Industry/University Cooperative Research Center was formed in 1990 to foster interactions with industry and the transfer of technology to industry. 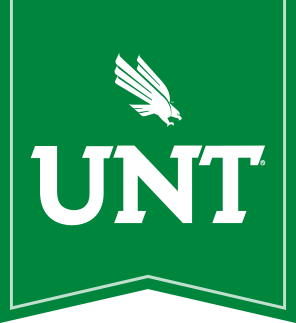 The UNT Center has recently joined with the University of Texas at Arlington and Texas A&M University Center for Electronic Materials, Devices and Systems. The Ion Beam Modification and Analysis Laboratory research programs are supported by the National Science Foundation, the Office of Naval Research, the Robert A. Welch Foundation, the University of North Texas, the State of Texas Advanced Research Programs, and a number industrial sponsors.